In the beginning was only Tepeu and Gucumatz (Feathered Serpent). These two sat together and thought, and whatever they thought came into being. They thought Earth, and there it was. They thought mountains, and so there were. They thought trees, and sky, and animals etc, and each came into being. But none of these things could praise them, so they formed more advanced beings of clay. But these beings fell apart when they got wet, so they made beings out of wood, but they proved unsatisfactory and caused trouble on the earth. In the beginning there was only darkness. Suddenly a small bearded man, the One Who Lives Above, appeared rubbing his eyes as if just awakened. The man, the Creator, rubbed his hands together and there appeared a little girl, Girl-Without-Parents. The creator rubbed his face with his hands and there stood the Sun-God. Again Creator rubbed his sweaty brow and from his hands dropped Small-boy. Now there were four gods.Then he created Tarantula, Big Dipper, Wind, Lightning-Maker and Lightning-Rumbler. All four gods shook hands so that their sweat mixed together. Then Creator rubbed his palms together from which fell a small round, brown ball. They took turns kicking it and with each kick the ball grew larger. Creator told Wind to go inside the ball and blow it up. Then Tarantula spun a black cord which he attached to the ball and went to the east pulling as hard as he could. He repeated this exercise with a blue cord to the south, a yellow cord to the west and a white cord to the north. When he was done the brown ball had become the earth. The Creator again rubbed his hands and there appeared Hummingbird. “Fly all over this earth,” said Creator to Hummingbird, “and tell us what you see.” When he returned Hummingbird reported that there was water on the west side. But the earth rolled and bounced, so Creator made four giant posts one each black, blue, yellow and white and had Wind place them at the four cardinal points of the earth. The earth was now still. The creation of the people, animals, birds, trees, etc takes place hereafter. Animals, elements, the solar system, and natural phenomena are revered by the Apaches. That which is beyond their understanding is always ascribed to the supernatural. In the beginning nothing existed–no earth, no sky, no sun, no moon, only darkness was everywhere. Suddenly from the darkness emerged a thin disc, one side yellow and the other side white, appearing suspended in midair. Within the disc sat a small bearded man, Creator, the One Who Lives Above. As if waking from a long nap, he rubbed his eyes and face with both hands. When he looked into the endless darkness, light appeared above. He looked down and it became a sea of light. To the east, he created yellow streaks of dawn. To the west, tints of many colours appeared everywhere. There were also clouds of different colours. Creator wiped his sweating face and rubbed his hands together, thrusting them downward. Behold! A shining cloud upon which sat a little girl. “Stand up and tell me where are you going,” said Creator. But she did not reply. He rubbed his eyes again and offered his right hand to the Girl-Without-Parents. “Where did you come from?” she asked, grasping his hand. “From the east where it is now light,” he replied, stepping upon her cloud. Creator brushed his face with his hands, rubbed them together, then flung them wide open! Before them stood Sun-God. Again Creator rubbed his sweaty brow and from his hands dropped Small- Boy. All four gods sat in deep thought upon the small cloud. All four gods shook hands. In doing so, their sweat mixed together and Creator rubbed his palms, from which fell a small round, brown ball, not much larger than a bean. Creator kicked it, and it expanded. Girl-Without-Parents kicked the ball, and it enlarged more. Sun-God and Small-Boy took turns giving it hard kicks, and each time the ball expanded. Creator told Wind to go inside the ball and to blow it up. Tarantula spun a black cord and, attaching it to the ball, crawled away fast to the east, pulling on the cord with all his strength. Tarantula repeated with a blue cord to the south, a yellow cord to the west, and a white cord to the north. With mighty pulls in each direction, the brown ball stretched to immeasurable size–it became the earth! No hills, mountains, or rivers were visible; only smooth, treeless, brown plains appeared. Creator scratched his chest and rubbed his fingers together and there appeared Hummingbird. Then he began a song about the sky. None existed, but he thought there should be one. After singing about it four times, twenty- eight people appeared to help make a sky above the earth. 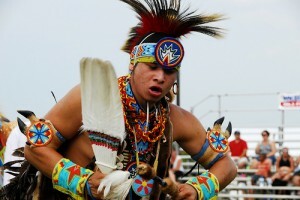 Creator chanted about making chiefs for the earth and sky. He sent Lightning-Maker to encircle the world, and he returned with three uncouth creatures, two girls and a boy found in a turquoise shell. They had no eyes, ears, hair, mouths, noses, or teeth. They had arms and legs, but no fingers or toes. Sun-God sent for Fly to come and build a sweathouse. Girl- Without-Parents covered it with four heavy clouds. In front of the east doorway she placed a soft, red cloud for a foot-blanket to be used after the sweat. Four stones were heated by the fire inside the sweathouse. The three uncouth creatures were placed inside. The others sang songs of healing on the outside, until it was time for the sweat to be finished. 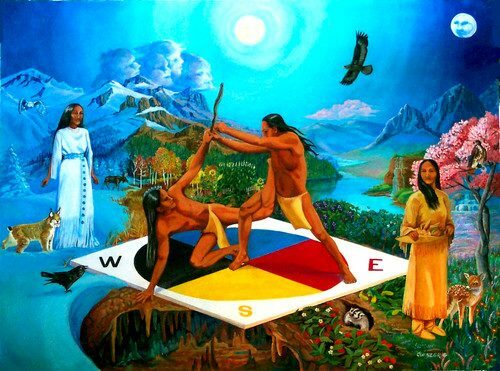 Out came the three strangers who stood upon the magic red cloud-blanket. Creator then shook his hands toward them, giving each one fingers, toes, mouths, eyes, ears, noses and hair. Creator named the boy, Sky-Boy, to be chief of the Sky-People. One girl he named Earth-Daughter, to take charge of the earth and its crops. The other girl he named Pollen-Girl, and gave her charge of health care for all Earth-People. Creator made a very tall pinon tree. Girl-Without-Parents covered the tree framework with pinon gum, creating a large, tight ball. In four days, the flood occurred. Creator went up on a cloud, taking his twenty-eight helpers with him. Girl-Without-Parents put the others into the large, hollow ball, closing it tight at the top. In twelve days, the water receded, leaving the float-ball high on a hilltop. The rushing floodwater changed the plains into mountains, hills, valleys, and rivers. Girl-Without-Parents led the gods out from the float-ball onto the new earth. She took them upon her cloud, drifting upward until they met Creator with his helpers, who had completed their work making the sky during the flood time on earth. Together the two clouds descended to a valley below. There, Girl- Without-Parents gathered everyone together to listen to Creator. Creator then turned toward Girl-Without-Parents and together they rubbed their legs with their hands and quickly cast them forcefully downward. Immediately between them arose a great pile of wood, over which Creator waved a hand, creating fire. Great billowy clouds of smoke at once drifted skyward. Into this cloud, Creator disappeared. The other gods followed him in other clouds of smoke, leaving the twenty-eight workers to people the earth. Sun-God went east to live and travel with the Sun. Girl-Without- Parents departed westward to live on the far horizon. Small-Boy and Pollen-Girl made cloud homes in the south. Big Dipper can still be seen in the northern sky at night, a reliable guide to all. Long, long ago, a great island floated in a giant ocean. This island hung from four thick ropes from the sky, which was solid rock. There were no peoples and it was always dark. The animals could not see so they got the sun and put it in a path that took it across the island from east to west each day. The animals and plants were told by the Great Spirit to stay awake for seven days and seven nights but most could not and slept. Those plants that did stay awake, such as the pine and cedar and those few others were rewarded by being allowed to remain green all year. All the others were made to lose their leaves each winter. Those animals that did stay awake, such as the owl and the mountain lion and those few others were rewarded with the ability to go about in the dark. Then the people appeared. the four sacred directions. It hung down from the crystal sky. and too soft and wet for the animals to live on. Grandfather Buzzard was sent to see if the land had hardened. As the earth stiffened, the animals came down from the rainbow. out from behind the rainbow, but it was too bright and hot. east to west–so that all inhabitants could share in the light. The people traveled through four worlds before climbing a reed growing from the bottom of the Lake of Changing Waters to this present world. First Man and First Woman with their two first children, Changing Twins, were in the forefront. First Man and First Woman produced a mountain. They populated it with plants and animals. On the peak they placed a black bowl with two blackbird eggs in it. They fastened down the peak with a rainbow. One twin took some clay from riverbed and it fashioned itself into a bowl. The other twin found reeds growing and shaped them into a water basket. They picked up stones from the ground which became axes, knives, spear points and hammers in their hands. The Navajo were given the name Ni? hookaa Diyan DinE by their creators. It means ‘Holy Earth People’ or ‘Lords of the Earth’. Navajos today simply call themselves “DinE”, meaning “The People”. 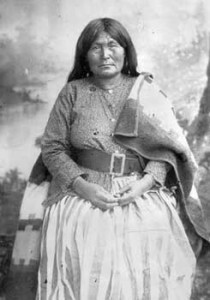 The Tewa Indians were the first to call them “Navahu”, which means “the large area of cultivated land”. 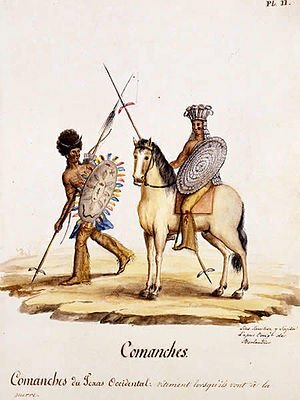 The Mexicans knew them as ‘Apaches Du Nabahu’ (Apaches of the Cultivated Fields), where ‘Apache’ (Enemy) was picked up from the Zuni Indian language. 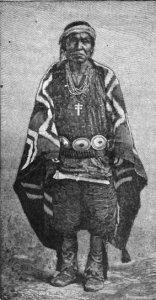 The “Apaches Du Nabahu” were known as a special group somewhat distinct from the rest of the Apaches. 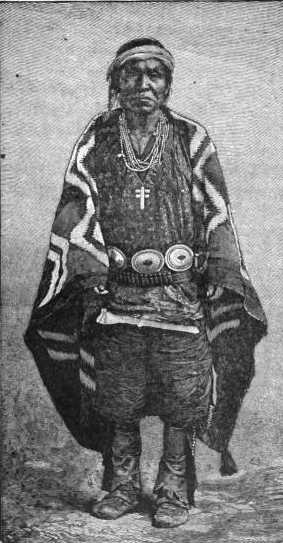 Alonso de Benavides changed the name to “Navaho” in a book written in 1630. The name the Din? officially use for themselves is “Navajo”. masked spirits as depicted in Navajo ceremonies. First Man (‘Alts? Navajo women how to weave, was also from the first world. and represents the Navajo?s religious southern boundary. Mt. stone, and represents the Navajo?s religious northern boundary. killed a monster it turned to stone. clans. 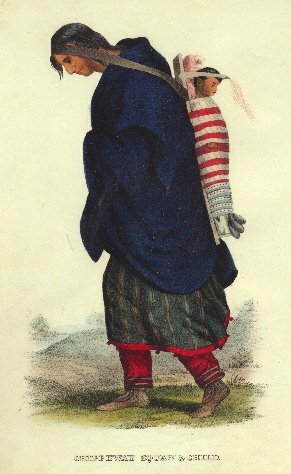 Kiiyaa aanii, or Tall House People, was the first clan. and weaving skills. Still others were Utes and Apaches. People, Mud People, Salt Water People, and Bitter Water People. the east who shared their heritage, they wanted to go meet them. of five powerful Indian tribes. They were later joined by another great tribe, the Tuscaroras from the south. 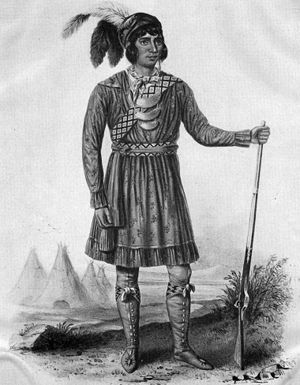 Eventually the Iroquois, Mohawks, Oneidas, Onondagas, and Cayugas joined together to form the great Iroquois Nation. 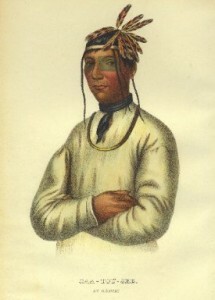 In 1715, the Tuscaroras were accepted into the Iroquois Nation. honor of the turtle who provided the mud from which it was formed. The Great Chief returned to his home in the sky, and the animal people scattered to all parts of the world. After twelve moons, the animal people gathered to meet the Creator as he had directed. Some of them had complaints. Bluejay, Meadowlark, and Coyote did not like their names. Each of them asked to be some other creature. “No,” said the Creator. “I have given you your names. There is no change. My word is law. will give you another law,” said the Great Chief Above. breath. Wake it up. It will be a human being with your breath. Great Chief had a special word for Coyote. are a power just like me now, and I will help you do your work. he had created did wrong. The mountains swallowed the creatures. would be the one to make the first human being. But he was mistaken. a second time, to change the laws of the Great Chief Above. fork. Make a two-forked spear and a three-forked spear for yourselves. Youngest Wolf called to his brothers, “You stay here. animal people. But he could divide it into only eleven pieces. Then he gave directions. “Fox, you are a good runner. people. Each of the eleven pieces became a different tribe. “There have to be twelve tribes,” said Youngest Brother. cook them, and save them to eat in the winter. bushes, and to huckleberry bushes. to them “Some of you new people should go up Lake Chelan. “One day the Great Spirit collected swirls of dust from the four directions in order to create the Commanche people. These people formed from the earth had the strength of mighty storms. Unfortunately, a shape-shifting demon was also created and began to torment the people. Talapas (Creator) gave life to the surface of the Earth. It grew in abundance. Later, he placed the animal forms of all the Totem Spirits on the surface of the Earth Mother, and they prospered. Talapas then instructed T’soona (Thunderbird) to carry these special eggs from the other place, and place them on the top of Kaheese, a mountain near the Yakaitl-Wimakl (Columbia River). The Old Giantess, not wanting these special eggs to hatch, began to break the eggs. The vengeful Spirit Bird swiftly swooped down from Otelagh (the sun) and pursued the Old Giantess, and consumed her with fire, in revenge for her injustice. Soon the remaining eggs became the T’sinuk (Chinook). 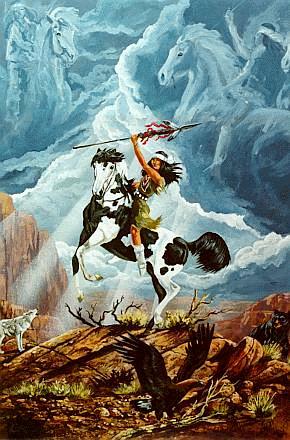 Near the beginning of time, five Seminole Indian men wanted to visit the sky to see the Great Spirit. They travelled to the East, walking for about a month. Finally, they arrived at land’s end. They tossed their baggage over the end and they, too, disappeared beyond earth’s edge. Down, down, down the Indians dropped for a while, before starting upward again toward the sky. For a long time they travelled westward. At last, they came to a lodge where lived an old, old woman. “Tell me, for whom are you looking?” she asked feebly. “We are on our way to see the Great Spirit Above,” they replied. That night the five Seminole Indian men strolled a little distance from the old woman’s lodge, where they encountered a group of angels robed in white and wearing wings. They were playing a ball game the men recognized as one played by the Seminoles. “What do you three men wish to do?” asked the Great Spirit. “If we may, we prefer to return to our Seminole camp on earth,” replied the three Seminoles. 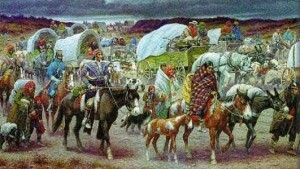 “Gather your baggage together and go to sleep at once,” directed the Great Spirit. “We are happy to return and stay earthbound. 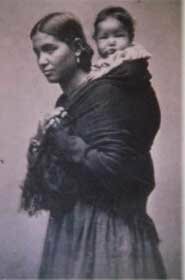 We hope never to venture skyward again in search of other mysteries,” they reported to the Chief of the Seminoles. In the beginning before there were people, before there were animals a lone woman lived in a cave. She lived on the roots and berries of the plants. One night a magical dog crept into her cave and stretched out on the her bed beside her. As the night grew long the dog began to change. His body became smooth and almost hairless. His limbs grew long and straight. His features changed into those of a handsome warrior. Nine months later the woman birthed a child. He was the first Chippewa male and through him came the Chippewa peoples. From Maine and Nova Scotia to the Rocky Mountains, Indians told stories about the Great Serpent. 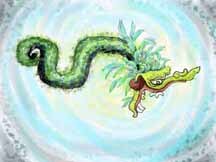 More than a century ago the serpent was considered to be “a genuine spirit of evil.” Some version of the story of the Great Flood of long ago, as recounted here, is told around the world. One day when Nanabozho returned to his lodge after a long journey, he missed his young cousin who lived with him. He called the cousin’s name but heard no answer. Looking around on the sand for tracks, Nanabozho was startled by the trail of the Great Serpent. He then knew that his cousin had been seized by his enemy. led to the edge of the water. and terrible. Most of them, like their master, resembled spirits. coiling his terrifying length around the cousin of Nanabozho. scales of every color and shade. “Winds, be still at once!” And the winds became still. of the lake. There he would seize the enemy and get revenge. the broken stump of a withered tree. but they heard him nowhere. “Nanabozho is sleeping,” they said to one another. as they closed over the evil spirits. was their number that they soon covered the shores of the lake. his tail around it, and tried to drag it down into the lake. listen for the footsteps of Nanabozho. asleep and the guard was intently looking in another direction. and terror, the Great Serpent plunged into the water. cousin. In their fury the serpents tore it into a thousand pieces. but he and his companions were determined to destroy Nanabozho. the high one on which stood Nanabozho. the people on the raft saw the trees on the tops of the mountains. At the beginning there was a great mound. It was called Nanih Wiya. It was from this mound that the Creator fashioned the first of the people. These people crawled through a long, dark cave into daylight. They became the first Choctaw. He traveled to the Great Lakes and while searching, heard a beautiful song coming across the water. The woman’s voice was singing that she was making a home for him. He fell in love with the voice and the song. In the days that followed, he learned how to cross the water and finally came to a lodge facing west. There lived a beautiful woman and her father, the Firekeeper. This was the first union – Anishabe and the Firekeeper’s Daughter. to communicate with the Creator. The fourth son went West, toward the mountains. Marrying the Spirit of the West’s daughter, he was given sage and learned that the setting sun represents the circle of life and its cycle. The color for West is black, for the dark time, and the sage, a strong purifier, is to keep illness away.